The Photive Cyren is a small, yet powerful portable Bluetooth speaker that provides crisp, clear sound that rivals it's more expensive competitors. At only 12.8 ounces, and 6.5 inches long, its small enough to take just about anywhere. Two 40mm drivers allow the speaker to be turned up as loud as you want without experiencing any distortion or vibrations. Personally, I have found that turning the speaker up to the maximum indoors is actually too loud. 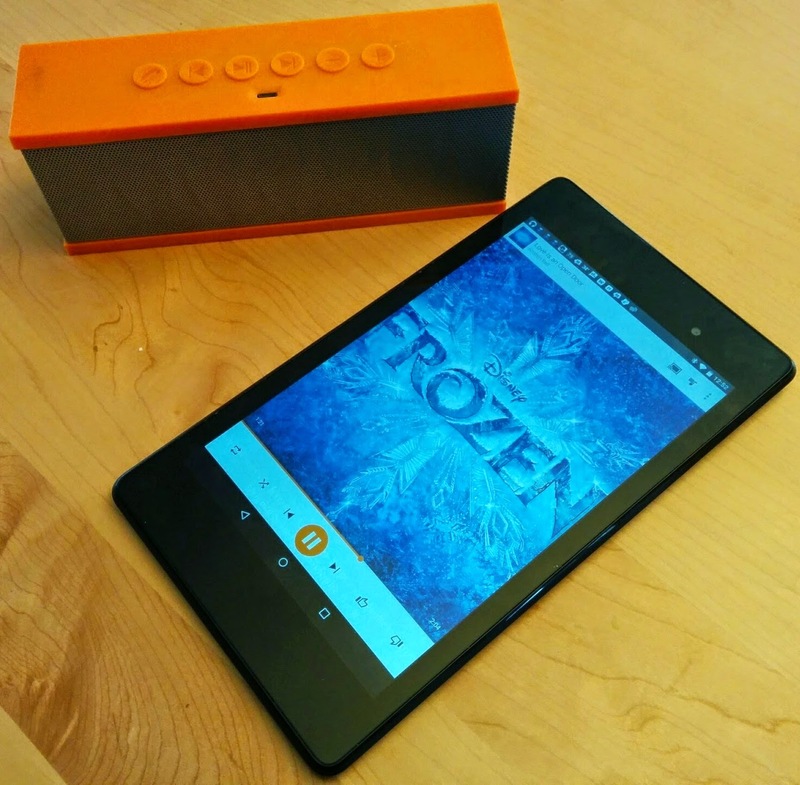 Outdoors, depending on the environment and music, the max volume is sufficient. With the built in microphone, this little speaker also provides the convenience of hands free phone calls, allowing you to answer a phone call right from the speaker and return to your music automatically when the call finishes. 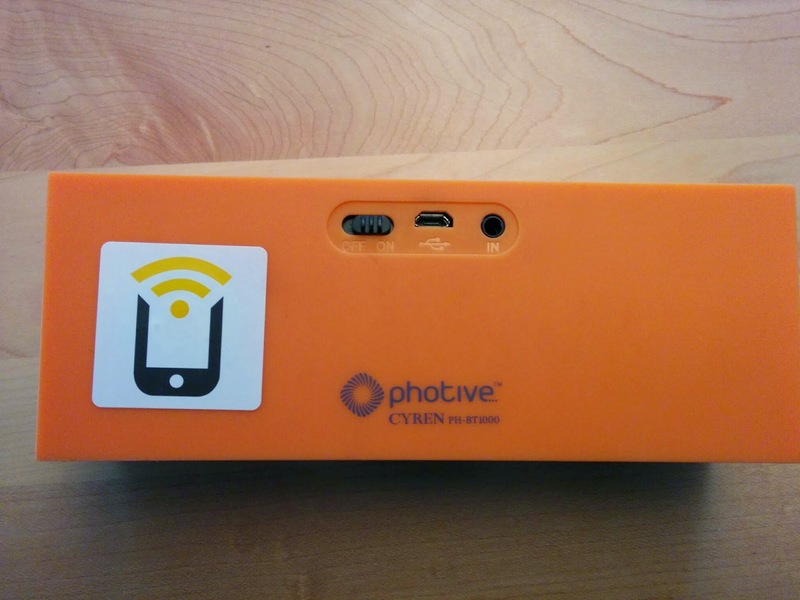 The Photive Cyren utilizes new Bluetooth 3.0 technology for connectivity. A rechargeable battery is built in and battery life does match manufacturer claims of 8-10 hours of playback at medium volume. There is also an 3.5mm line-in jack so you can use the speaker with non-Bluetooth devices. The front of the speaker is a metallic mesh grill, while the top sports the control buttons (Answer Calls, Previous Track, Play/Pause, LED Light Indicator, Next Track, Volume Up and Volume Down). The back of the speaker is where you will find the power switch, the Micro USB port and the 3.5mm Line-in jack. As you can see from the photo, I have attached an NFC sticker to mine which I use for turning on/off the Bluetooth on any of my NFC enabled devices. What's In the Box: In addition to the speak itself, the Photive Cyren comes with a 33" long charging cable that has a USB plug on one end and a Micro USB plug on the other. It also comes with a 33" long auxiliary cable with a 3.5 mm plug on each end. A carrying case is also included for transportation convenience. Color options: Black, Blue, Orange, Purple, and Red. Disclaimer: I have not received any compensation from the manufacturer, nor have I been given anything free to review this product. I do have affiliate links that provide me with a percentage of any sales generated through this website.